Join William King Museum of Art for a day of gallery inspiration! Spend the morning with your family as we make holiday decorations and gifts inspired by our current exhibitions. Tours will be offered throughout the morning and light refreshments will be provided. For more information on Elves Workshop call Lori Rouse at (276) 628-5005 ext. 114 or email her at lrouse@wkmuseum.org. 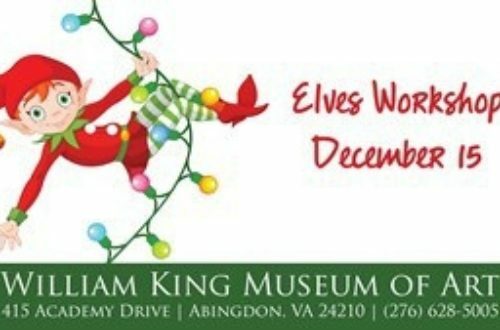 WKMA members enjoy discounts on classes and events like Elves Workshop. You will also receive benefits that allow you to get into over 900 museums for free. For more information on member benefits call Nikki Hicks at (276) 628-5005 ext. 113 or email her at nhicks@wkmuseum.org.